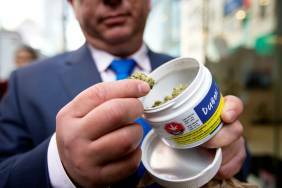 OCS attributes delay to ‘unbelievably high demand,’ reports 100,000 orders in first 24 hours. After waiting years for marijuana to become legal, Brock Regan was ready on the night it happened to buy online from the Ontario Cannabis Store (OCS). “[Cannabis] has been part of my life for about 20 years. Seeing it legalized was a big stepping stone,” Regan said. But Regan, along with dozens of customers across Ontario, are complaining about the OCS launch as reports of shipping delays and cancellations mount. The provincially-run online retail website went live at the stroke of midnight on Oct. 17. It reported that within the first 24 hours, it had accepted 100,000 online orders. “The way that everything has fallen apart, it’s been more a disaster than anything,” said Regan. More than a dozen customers contacted CBC Toronto with complaints about the way the OCS has handled online deliveries. Their issues range from changes in shipping estimates, to a lack of follow-up for order details to wrong products being sent. Tyler Savage is another customer who was anticipating legalization. He placed an order within 40 minutes after the site’s opening but said he’s frustrated that no further communication of shipping estimates have been sent. Tainted by their first experience with the OCS, Regan believes many customers will eventually turn back toward the illegal market for marijuana, citing their familiarity with what kind of products they’re buying — and when they will receive it. An email from OCS representatives indicating that orders may not be sent in chronological order.